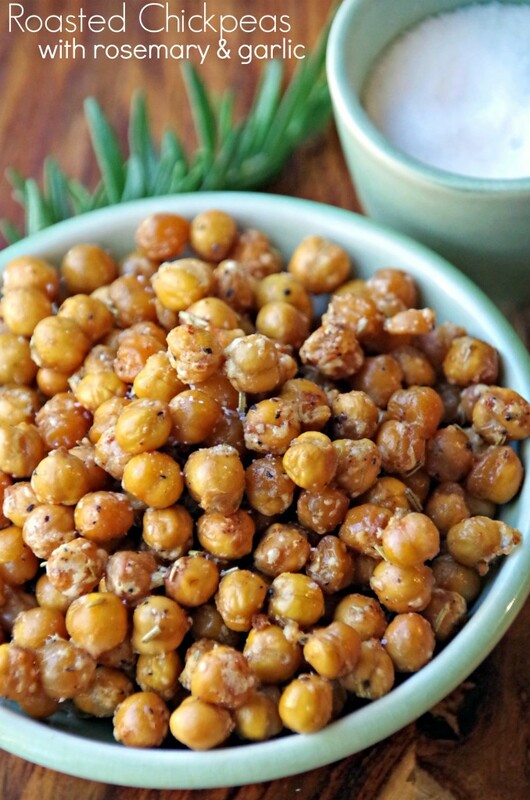 This spicy roasted chickpeas snack recipe is my new solution to snack time guilt. No more ‘hangry’ mom who is irritable because she is trying to avoid snacking. No more gazing longingly at my husband while he inhales food during our pre-bedtime TV session. Nope. Now, I am going to happily make this roasted chickpeas snack recipe several times a week to I can snack without guilt. Chickpeas (otherwise known as garbanzo beans) are loaded with flavor. But, who wants to sit around eating beans out of a can, right? Beans are loaded with protein and a whole bunch of other good for you stuff. Drained, seasoned and roasted in the oven, they become a delicious high protein snack that can keep you fueled up without adding excess carbohydrates like some other popular snacks. It takes very little time or effort to make roasted chickpeas and you can adjust the flavor based on your own personal tastes. I chose to drizzle my roasted chickpeas snack recipe with a tad bit of olive oil. I have seen them made without any oil but honestly, I think the seasonings stick better with a bit of oil. Try them both ways and see which you prefer. Some people also choose to spray them with those nonstick sprays in a can but that isn’t really my cup of tea, either. Choose whichever seasonings appeal to your pallet and salt to taste. They are a delicious bedtime snack or just something to nibble on while you work at your computer! Remove the pan from the oven and let them cool slightly before eating. 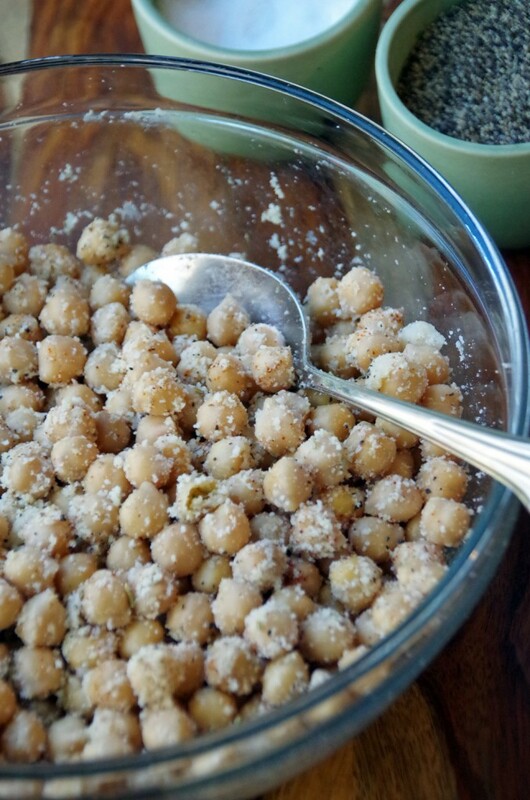 What flavors would YOU add to this roasted chickpeas snack recipe? Need more healthy snack recipes? 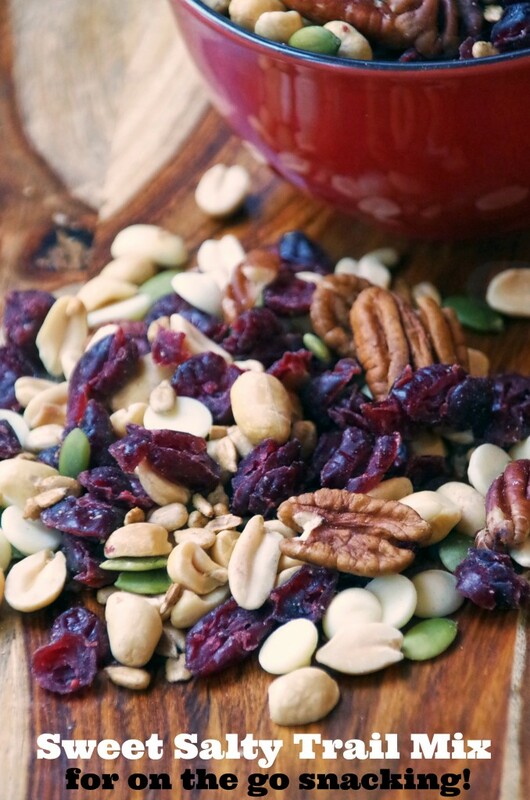 Try this sweet and salty trail mix recipe! These look great! Easy to make and something I would enjoy cooking for my family. Thanks for sharing. I love chickpeas for snacks, but never thought about using garlic and rosemary, I will have to try it now for sure! I'm not a huge fan of chickpeas, but my wife loves them. A spicy version would become an instant favorite to her. What am I doing wrong? My chickpeas are sticking so bad that about a quarter are destroyed by me unsticking them while trying to turn. My suggestions would be more olive oil, a slightly lower temperature, or a lighter colored or non stick cookie sheet? Also, make sure to shake the pan occasionally!